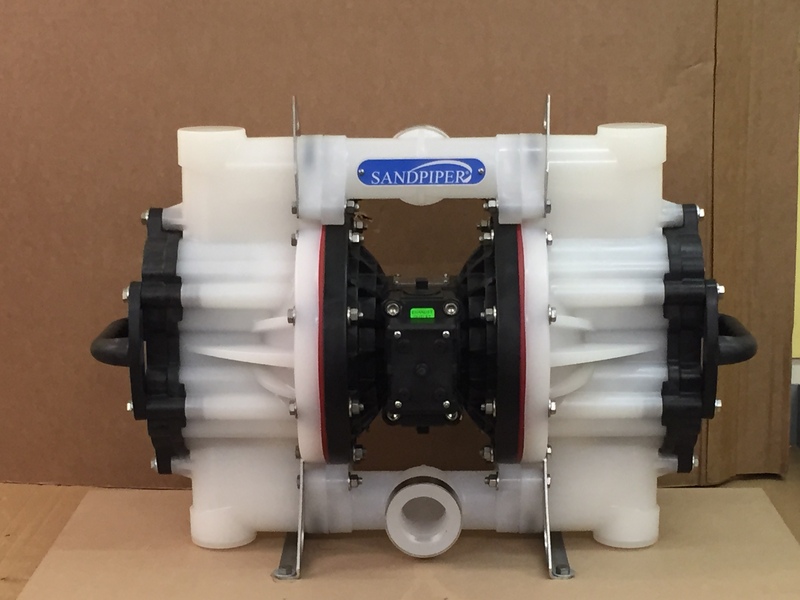 SandPIPER have added a new addition to the Heavy Duty Flap range of pumps and we are have an end user who recently purchased this pump. 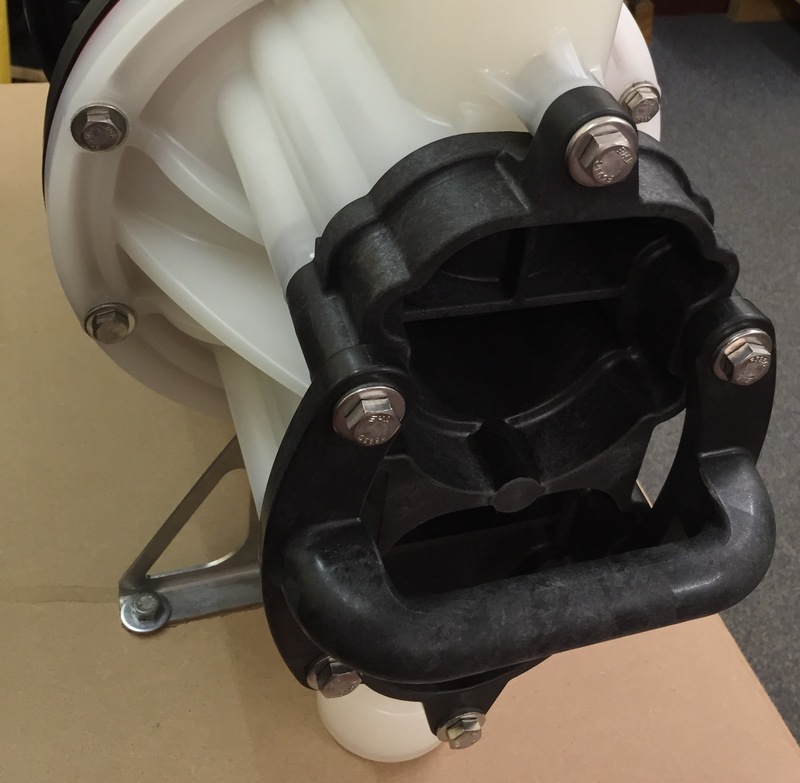 This new offering is an air operated plastic flap valve double diaphragm pump and is 2″ NPT or BSP threaded with a maximum flow rate of 567 LPM and maximum solids handling of 46mm. The maximum discharge pressure is 7 bar (100 psi). These pumps are recommended for slurries, suspended and non-suspended solids and line size solids requirements. 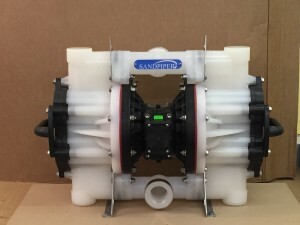 A unique design feature of this pump is that by removing only six bolts that hold the clean-out caps on the sides of the pumps, easy access can be gained to clear simple clogs without dismantling the whole pump. 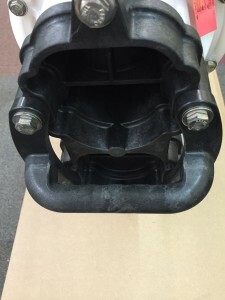 With these clean-out caps removed, the flap valves can be easily inspected and replaced if necessary as only an additional 4 bolts secure these in place. This makes maintenance and repairs quick and easy compared to having to dismantle a whole pump. These pumps are available in Polypropylene and the diaphragm and check valve options are Buna-N (Nitrile), Neoprene, Santoprene, EPDM, Hytrel and Viton. Alternatively, you can email the sales team on sales@tri-ark.com or LiveChat to us during office hours too. We look forward to hearing from you with your pumping requirements soon.